Online Payment: What will you gain? By Comelite IT Solutions Business, Technology business, Online Payment Comments Off on Online Payment: What will you gain? In today’s world, it’s become part of our everyday lives to pay online. Whether it’s the ordinary grocery shopping, or shopping for clothes, household and office furniture, or going to a restaurant and paying with your e-wallet, it has all been intertwined in our common life activities. 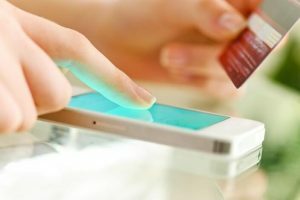 Now what exactly is online payment? To make it basic, it’s the exchange of money electronically. It can be through a website where we pay with our credit card or PayPal, it can be with a Google Pay or Apple Wallet payment with your smartphone, or other platforms. Online payment is much faster than your paper bills, you can even automate some of your payments and receive notifications for them. Even if you wait for the last minute, you will get it done with a click of a mouse. you can always track and keep control of your expenses, from transfer fees, service fees, and any other transactions. your virtual wallet cannot be stolen, or there is no risk of leaving it somewhere. Of course there are viruses and cyber theft, payment gateways are mostly secured by strong security measures. you can make your transfers with your laptop, mobile, anytime and with anything that you’re comfortable with. All you need is a few minutes and internet access. you can easily keep track of your transactions through your online bank interface, get filtered information, follow up on due payments and much more. So if you’re going to add online payment to your future/current website, your ecommerce platform, online marketplace, or your app, get familiar with which payment gateways are in your famous in your region, and plan ahead!